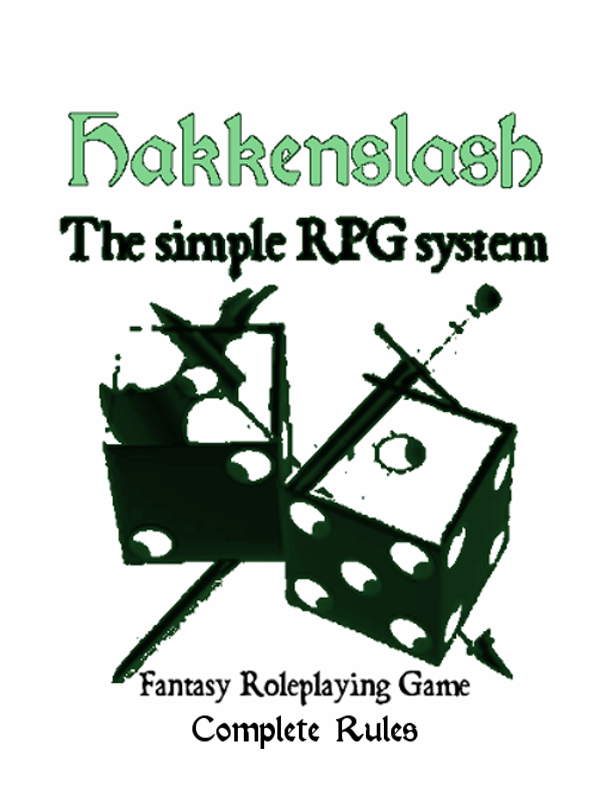 Hakkenslash is a simple xd6 system created by fellow blogger +S.D. Houston. I'm still fiddling with the system and making character sand throwing them at the monsters provided in the release, but I can say that as it stands, this may replace my own modified S&W system for the game I play with the kids on the weekend. It is so far very fast in its creation of characters and combat flows pretty good. The game is still in playtest mode and so things ill change, improve and small spelling and grammar mistakes will go away, but I urage everyone who hasn't already heard about it to go and check it out! Now, let us hope S.D. doesn't kill me because I jumped the gun a little. Thank you for the kind write-up. I'm glad you like it so far! Indeed there are still improvements to be made (and some editing), which I'm currently working on and will have more opportunity to review after some playtest feedback. My own playtest so far has been really positive and my players really enjoyed the quick character creation and the active defense system, enough that they've opted to use it in lieu of the AC system for our weekly S&W game lol.